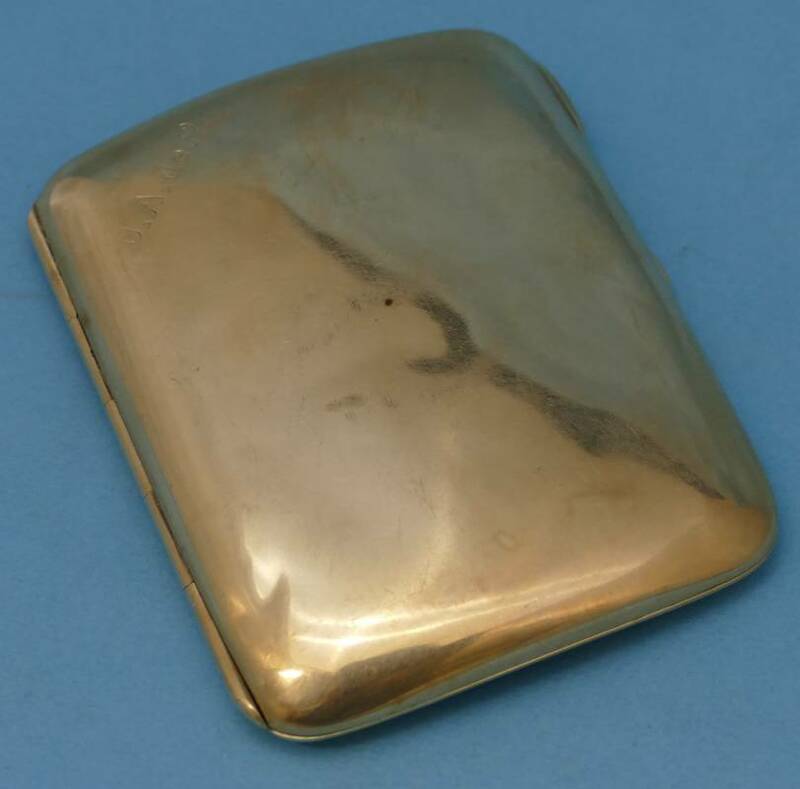 We sold two beautiful gold cigarette cases in the March auction. 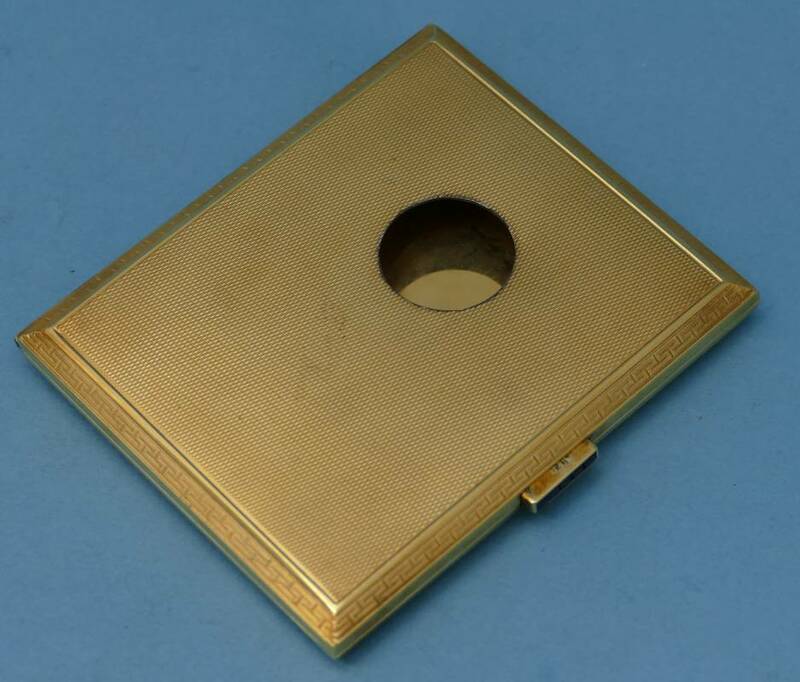 Lot 481 was a plain, 9ct gold (68.2 grams) with engraved initials. The hammer price was £610. Lot 482 sold for over twice as much at £1305. The case was designed by Gebr Friedlander from Berlin. It has a clasp set with sapphires, a viewing opening, and weighed in at 98.6 grams.